Democritus begins the atomic theory when he asks the question, "Can matter be divided infinitely?" He creates the hypothesis that matter cannot be divided infinitely and will eventually stop when it becomes an atom. 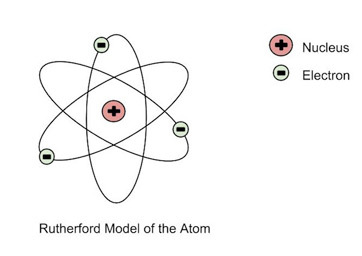 He described and atom as small hard particles that were made of the same material but different shapes and sizes. 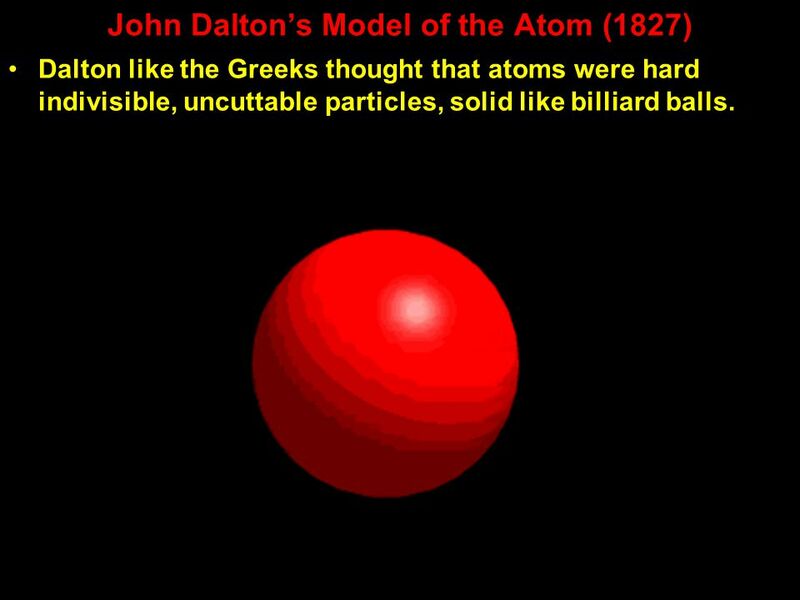 While experimenting with gases Dalton suggested that all matter is 1. made up of atoms which can't be created, destroyed, subdivided. 2. Atoms of a given element are all going to be the same. 3. Atoms of a different element are going to have different chemical and physical properties. 4. Atoms of different elements combine in simple ratio. 5. Chemical reactions may combine, separate, or rearrange but will not change,be created, or destroyed. Dalton experimented with gases when he wondered why liquids and gases could exist in the same space but solids couldn't. When he tried to explain his results he created his hypothesis for the atomic theory. Robert Milikan contributed to the atomic theory when he used parts of a perfume bottle and a microscope to observe oil and water droplets. Doing his experiments Milikan was able to determine the charge of the electron. While working with Thomson, Rutherford conducted experiments with gases and x-rays. Later on Rutherford conducted his "Gold Foil Experiment" where he discovered protons. 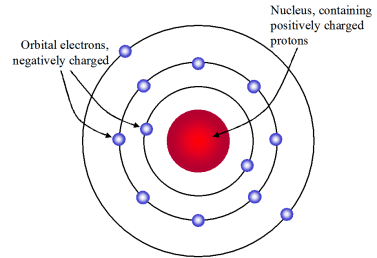 He decided protons would be in a nucleus with electrons orbiting around it. 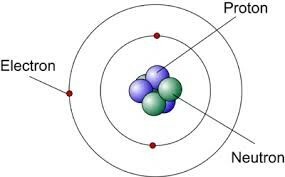 Niels Bohr contributed to atomic theory when he discovered that electrons have different energy levels that they follow. He worked with Thompson where he was introduced to Rutherford. Werner Heisenberg developed the "uncertainty principle" where he learned that electrons don't orbit, rather they bounce around crazily. Heisenberg brought more math to the table when dealing with atoms. Erwin Schrödinger contributed to the atomic theory in 1926 when he used equations to find the probability of finding an electron in a certain position. He believed atoms put out radiation when jumping around the nucleus. James Chadwick worked with Rutherford and believed that an atom could also have particles that had no charge. During an experiment Chadwick attacked an element with specific particles until it began to give off an unknown radiation. Chadwick thought this radiation was made up of particles with no charge also known as neutrons.